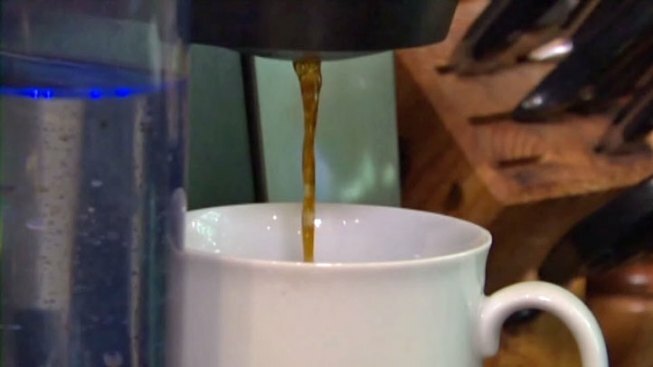 Single-serve coffeemakers that use coffee pods are gaining in popularity, and everyone wants a piece of the market, including Starbucks. Consumer Reports just tested the Starbucks Verismo machine and 21 others, costing from $25 to $300. Testers found the fastest will rush you your caffeine in about a minute. But the Hamilton Beach Personal Cup 4997 took 3 minutes to deliver that first cup. As for the Starbucks Verismo machine, you can make Starbucks’ espresso, café latte, and brewed coffee, but it’s pricey. It starts at $200, and it’s pretty basic. For example, you can’t adjust brew strength, and the manual says you should flush the machine with water after each brew. The NBC 5 Investigates Consumer Unit reached out to Starbucks. The coffee company stands by the Verismo saying it is the only high-pressure, premium single-cup machine that produces Starbucks quality expresso beverages and coffees that consumers can make at home. Far better for less, says Consumer Reports, is a $150 DeLonghi Nescafé Dolce Gusto Circolo. It brews a cup in a minute and makes cappuccinos, espressos, and other drinks as well. If you want a smaller pod coffeemaker that takes up less counter space, Consumer Reports recommends the Piccolo in the DeLonghi Nescafé Dolce Gusto line that goes for $100. But be aware—buying a pod machine is just the beginning. The coffee pods can be expensive, up to $1 a cup. Complete ratings and recommendations on all kinds of products, including appliances, cars & trucks, and electronic gear, are available on Consumer Reports’ website.